My family loves eggs and I make them almost every morning. My son likes his eggs scrambled with ketchup on the side, my daughter and I like ham and cheese in our eggs (I tried to do the omelet thing but find it’s just easier to scramble them all together…and I just couldn’t master the omelet; will try again one day! ), and my husband likes his fried with a runny yolk (if you could see my face, it’s saying eww). Even though we all seem to have a different preference when it comes to our eggs, we all like a little salt on them, it’s something I do every time I make an egg, no matter then style. Why? Because it makes them taste better and adds a little more flavor. I love the fact that Paul used the word “always” in there. Meaning, not just when you feel like it or when you agree with the person you are speaking to, but always. Every time we open our mouths may they be filled with grace. Grace, remember, is unmerited, not necessarily deserved. Whew. This is not always an easy task, but with the Holy Spirit’s help, we have the power to always speak with grace. I also love that just speaking with grace wasn’t enough, Paul knew we needed another enhancement to our words–SALT. Just a little extra seasoning on there because too much salt doesn’t taste good, does it? Salt is used to enhance and preserve food; it even makes some foods more interesting. This “salt” Paul is speaking of can sprinkle compassion and sensitivity into our tone of voice and the words we choose when we speak. It’s interesting that we also use salt to melt ice; softening it or melting it to make travel safer and less destructive. Ice is hard; salt melts it. Hearts are hard; seasoning our words with salt may help melt hard hearts (even our own). Whatever you have to say (or post on social media), add some salt and grace to it. Encourage others, build them up and magnify the Lord in all you say. Perhaps what you want to say is something better left unsaid? Or perhaps with the Holy Spirit’s help you can say it in a way that is lovingly tasteful and respectful? Be ready to share about Christ, His character and what He has done for you not necessarily what He needs to be doing for someone else. Let’s keep the focus on the Lord working in our own lives and how we can grow to become more like our Savior. Oh Lord, our words. We have so many. Thank you that we can speak and communicate with one another, but please, Lord, help us to only speak what you would have us speak. Help us to say it in the way you would have us say it. May we embrace forgiveness when others hurt us with their words and may we acknowledge our own words that may have hurt others. Help us, Oh God, to speak with grace ALWAYS and season each word that comes out of our mouths with salt- Your salt. Salt of compassion, love and more grace. We love you and we praise You for Your Word to guide us. AMEN. An Activity for the KIDS! 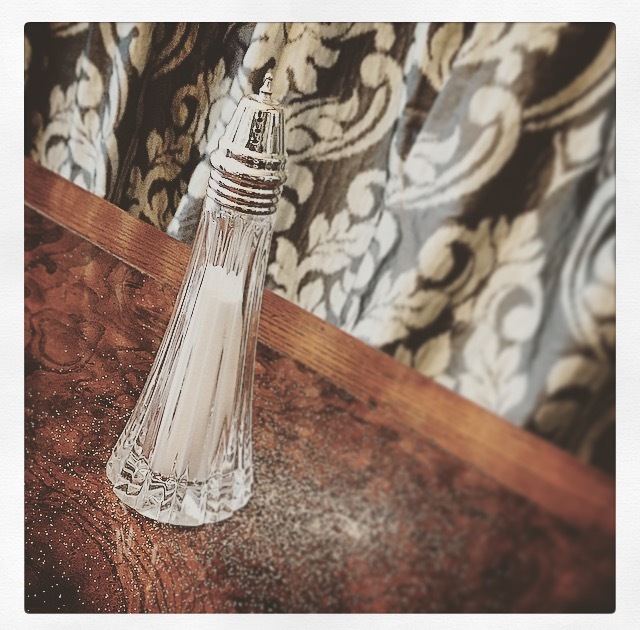 BTW- I think I’m going to just go on and get my very own salt container to carry around because I know my words can be better said and conveyed if I’m reminded of the seasoning that’s needed to infuse my words with Christ’s words. So if you see me with my salt shaker, you’ll know why. I need this as much as anyone, especially when it comes to speaking to my own precious children and husband. Often my words to others outside my home can be more gracious but I can’t forget that God starts in our hearts and in our homes. What I do here matters more than what I do anywhere else. The other day I reluctantly got out of bed and made my way to my dining room table to do my quiet time. I really didn’t even know where to start because I’ve not been very consistent with my QT lately (ugh). I grabbed the devotional I am doing this year, My Utmost for His Highest, and opened it to where I last dropped off, May 21…it was June 2. Oh well, a few weeks behind, I will catch up eventually, right? 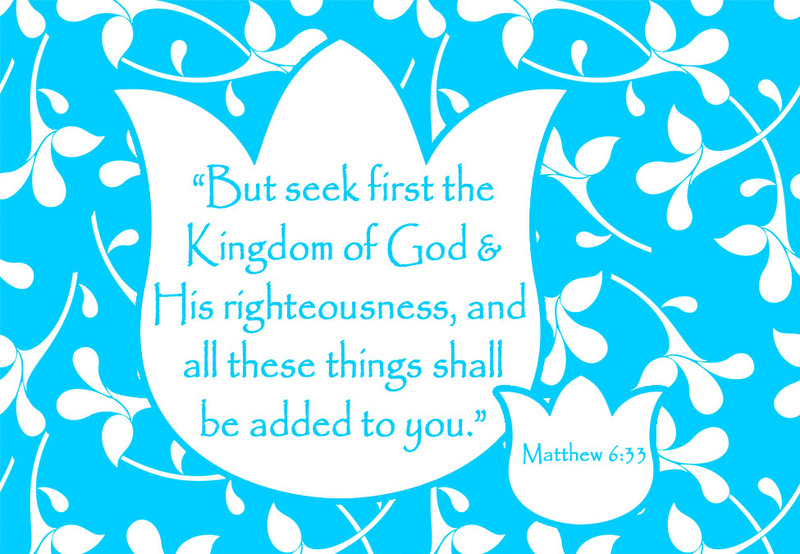 The verse staring at me for the May 21 devotion was Matthew 6:33. I read it and read it and read it again. It was as if God was speaking straight to my heart and soul (which He does, you know!?) saying, “Sarah, seek ME. Sarah, above all else LOOK for Me and not only will you find Me but I will give you everything that you need.” Immediately I had a peace and a comfort that can only come from Him– which was exactly what I needed. In the passages above Matthew 6:33, Jesus was teaching about worry, which can encompass so much of what holds us back from seeking and truly finding the Lord. When we seek Him wholeheartedly and put Him before all else, we WILL have all that we need and just not worrying is enough, right!? It doesn’t mean if we seek God we will become rich or if we put Him first we will get exactly what we want in our life– that job, that spouse, that house, that answered prayer…not that He isn’t able, but what this verse means is that when we pursue a relationship with Him and let Him reside in every corner of our lives and hearts, He will give us what we need for the duration–HIMSELF. And with Him comes what we truly need, what our souls desperately need– peace, rest, love, grace, forgiveness, joy, wisdom, understanding, the list is unending! The definition of seek means to search, attempt to find, go to. It’s a choice to go to God first; to attempt to find Him and search for Him. It’s a choice to serve, love and obey Him, and put Him first in our lives. I don’t always make the right choice on this matter but that morning I chose to seek Him and boy did I find Him (can I get an Amen!?). Even if I was a few days late in my devotional He wasn’t late in speaking to me…He never is (and another AMEN!). But what does it mean to seek “the kingdom of God, and His righteousness”? This means we are going to and recognizing the realm of His authority and sovereignty over all, acknowledging who God actually is. The words humility and surrender come to mind here. Seeking His righteousness can mean to search for and see His goodness in all things, because it’s always there, you know!? When we choose to see the good in difficult circumstances or situations we are in fact seeking God because He is good. When we choose to love when it’s hard we are in fact seeking God because He is love. I don’t always make the right choice on these matters either, but the more I search for Him, the more I will find His goodness and love in all and for all.